Home » Car Warranty » What is an Extended Auto Warranty? You’re probably thinking if you should get that extended auto warranty or not on your beautiful new car. Everyone’s in the same boat as you. They don’t want to spend more money that they don’t need to spend. However, you may want to consider an extended auto warranty if you run out of your manufacturer warranty and don’t want to pay even more money to fix your car. Most new vehicles on the road today come with a 3 year/ 36,000 mile comprehensive manufacturer’s warranty. In the event of a car breaking down before 3 years or 36,000 miles is reached, the manufacturer is required to fix your car. If it’s past either of those ranges, it’s out of warranty and you may need to purchase an extended auto warranty. The extended auto warranty is a service contract that will pay for the parts and repairs when your car breaks down outside of the manufacturer’s warranty. Now, why is this important to you? Simple, you don’t want to pay more than you need to. With an extended auto warranty, the parts and repairs are paid for in the event of your car breaking down. If you don’t have the warranty and your car malfunctions, the parts are all coming out of your wallet. This isn’t to say that some warranties will cover everything, but there are some that cover quite a bit of common malfunctions. Finding a good warranty can be tricky. The important thing is to find one that is certified by many shops around your area or globally. It’s also good to be high-rated and to see if they have any benefits, such as roadside assistance, trip interruption insurance and rental car benefits. All of these warranties do require you to go in for routine maintenance on your car. Do not neglect your car, it needs checking up on at the doctor like you do. 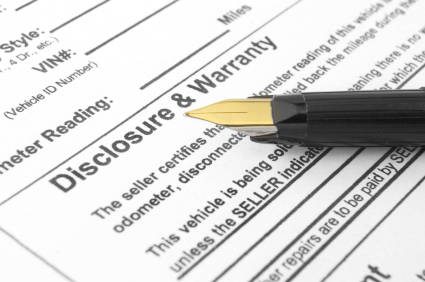 There are a few types of auto warranties. The first is a Powertrain warranty. This warranty covers the engine, transmission, and other parts of the drivetrain. This is where all the oil flows through. These parts are the least likely to fail, so if you want to feel extra precautious, you should get this warranty. The second is a bumper to bumper warranty, which covers all of the mechanical systems of the vehicle, from the front to the back. These are the tricky warranties, because they sometimes don’t cover parts you may need. Read up on the potential parts, as this warranty is very important to your car’s safety. The third is Named Component Warranty. This covers the major mechanical systems from mechanical breakdown to mechanical failure. If the part isn’t listed, then it’s not covered.